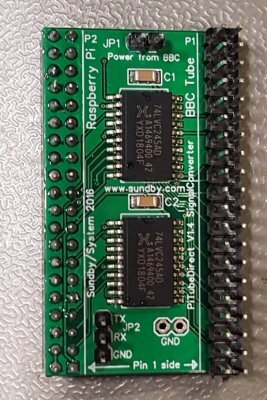 Hi, I have made a new batch of PiTubeDirect Signal Converter cards. Have all 4 versions on stock ready for delivery. Kjell S.
I order en a batch of PCB’s for the external version of PiTubeDirect. This will be sold as a complete DIY KIT. It has some SMD components but is easy to solder. Just today I shipped number 200 of the PiTubeDirect signal converter Thanks for all the kind word every one has given. I ready appreciate it. Cheers, Kjell S.
Hi, I just made ready a new batch of signal converter, the Master, External and in Tube version. Also in stock it Pi Zero, micro SD card’s. Kjell S.
Hi, I am giving up writing in two languages and will from now on stick to English. Since my English is ever worse then my Norwegian, please send me an email if you see something totally wrong. 🙂 Will convert the remaining Norwegian pages to English.